John Boyega - Bio, Girlfriend, Height, Age, Parents, Net Worth, Is He Gay? John Boyega – Bio, Girlfriend, Height, Age, Parents, Net Worth, Is He Gay? John Boyega is the prolific British/Nigerian actor and producer notable for blockbuster movies including; Pacific Rim: Uprising, and Attack the Block. His break out role, however, came through in 2015 when he starred in the critically acclaimed Disney owned movie, Star Wars: The Force Awakens. His fame has since been on the rise for him to be considered for the next “Blade” movie. Find out more about his journey and career advancements below. John Adebayo Adegboyega is a Nigerian/British Actor who was born in Peckham, London, on the 17th of March 1992. Boyega’s first role was when he acted in his elementary school by playing the role of a leopard. In an interview granted to “Interview Magazine,” he narrated his first acting experience as one in which he went all out to find creativity he never thought he had at such a young age playing such a tricky role as a leopard. His parents are Abigail Boyega (mother) and Samson Boyega (father). His parents were both born in Nigeria. His father is a preacher, while his mother works with the disabled people. He has two sisters,”Grace Boyega and Blessing Boyega.” Initially, Boyega’s father intended for him to become a preacher like himself, but after observing his passion and growth in theatrical acts he decided to let him follow his dreams. Boyega took classes at the Identity School of Acting in Hackney. This exposed him to opportunities such as appearing in “Category B” at the Tricycle Theatre and Six Parties at the National Theatre before any major role was clinched. He attended Oliver Goldsmith Primary School and later Westminster City School. Having completed his higher studies, Boyega started schooling at South Thames College when a role came through for him, a role which would serve as his very first major movie (Attack the Block in 2011). Luckily more roles followed quickly including; Half Of A Yellow Sun (the book adaptation by the renowned Nigerian writer, Chimamanda Adichie in 2012), and Imperial Dreams. Not long after, in 2015, he got the role of a lifetime in one of the most successful Sci-fi franchise, Star Wars. He formed his own productions company which he called Upperroom Entertainment Limited in 2016. This company of his co-produced the 2018 blockbuster movie, Pacific Rim: Uprising, with “Legendary Entertainment.” He reprised his role as “Finn” in the 2017 Star Wars: The Last Jedi. The same year, he was featured in a gritty police drama, Detroit. Boyega whose very first exposure to mainstream acting was in Nigeria where he featured in Mike Bamiloye’s Christian movies as a child. Fast forward to one of his biggest career break to date Star Wars: The Force Awakens plus other blockbuster movies including; Pacific Rim: Uprising, Detroit, among others, he has been able to make a good fortune with these efforts to have an estimated net worth of $2 million. Is He Gay? Does He have A Girlfriend? Movies sure can play tricks with the mind and lead some pertinent questions to be asked. 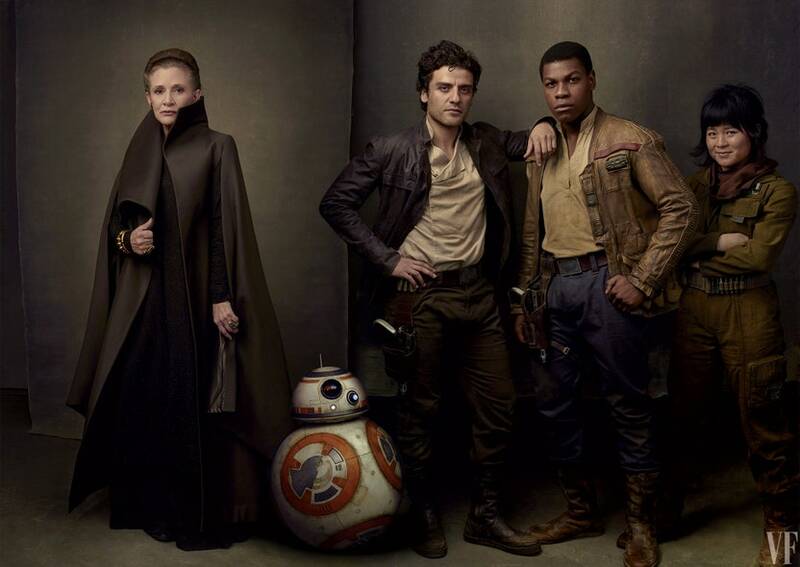 With regards to Boyega’s sexuality, brows were first raised when a scene in the Star Wars: The Force Awakens, involved Finn (John Boyega) being told to keep the Jacket by Poe Dameron (Oscar Isaac). This scene practically showed a Poe who had a crush on Finn. John, however, confirmed that Poe is actually gay in the movie however no talk of an on-screen relationship has been approved by Kathleen Kennedy, the head of LucasFilms. Though fans have been obsessing about its possibility they will have to wait for more information as to whether or not a relationship between the two characters will occur. In real life, however, John Boyega is not gay at least he has not come out as such. He was recently spotted holding the hand s of an unnamed woman who was rumored to be his girlfriend, however, this rumor has not been confirmed nor debunked but sources close to the star disputed the claim. It will be recalled that Boyegaa revealed that before his mega-fame as a result of the Star Wars franchise, he was dating a girl who didn’t know what he did for a living. The relationship was perfect until the day she asked him “What Do You Do For A Living?” He responded to her saying that he is the man with lightsaber she saw on a magazine. After that, the relationship went sour as she wasn’t ready to be in the spotlight that way. Boyega also recalled the relationship advice he was given by Orlando Bloom. According to John, Orlando told him to find that special one before the fame blows up. Now he wishes he did because it’s just hard to find a girl who would love him for him and not because he is a star. Moreso, coming from his Christian background, he stated that his girl will most likely be a Christian in line with his faith and personal beliefs. For success in Hollywood, a tall height and good looks tend to give a good edge to a successful career. Though not always the case, it still helps to an extent. For John Boyega, he is definitely not lacking in the height or looks department. The stands tall at 5 feet 9 inches(1.75).